There have been widespread misgivings about the use of the Ripa laws to combat "environmental crime". 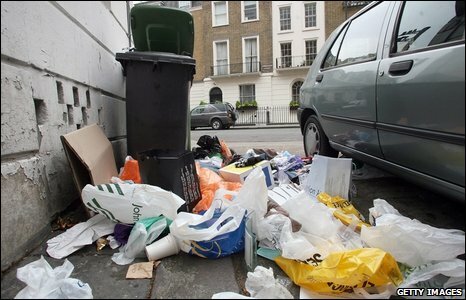 Home Secretary Jacqui Smith is to clamp down on local councils who use anti-terror laws to catch litterbugs and other minor offenders. Increasing concern that the Regulation of Investigatory Powers Act (Ripa) is being used as a "snoopers-charter" could mean that only elected councillors or senior officers would be able to approve secret filming or the monitoring of telephone records. Here, BBC News looks at examples of how local authorities have been using the controversial law. 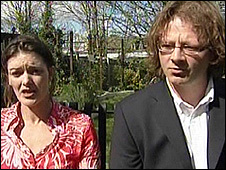 Dorset couple Tim Joyce and Jenny Paton were spied on by Poole Borough Council who suspected them of lying about their home address in order to get their daughter into an over-subscribed local school. The couple, who were later exonerated, were amazed to learn the council had employed someone to watch their house and monitor their daily movements. 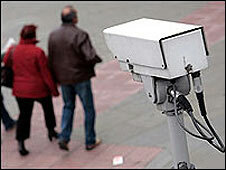 The council's head of "legal and democratic services", Tim Martin, justified the surveillance. He said the practice of submitting "potentially fraudulent applications" for school places could be seen as a criminal matter, and was therefore covered by the authority's Ripa powers. And he admitted that the council had launched similar spying operations "on a small number of occasions" in the past. "This protects the majority of honest parents against the small number of questionable applications," he said. For their part Mr Joyce and Ms Paton described the council's actions as "hugely disproportionate". They queried why the council had not approached them openly, instead sending a spy to follow them around. Many local authorities have also used Ripa powers to monitor their own employees. A Wales on Sunday survey last year found that Conwy Council secretly spied on a worker who was suspected of taking drugs at work. Newport City Council used Ripa to check up on an employee thought to be taking unauthorised time off, and Denbighshire put one of its own drivers under surveillance after he was suspected of using an official vehicle whilst off-duty. In Bury, Manchester, the local council used secretly-filmed footage to justify the sacking of three refuse collectors it accused of collecting trade waste - and accepting a bottle of strawberry-flavoured pop in payment. The council, which used the Ripa laws to justify the operation, said the workers had used their refuse truck for "pecuniary gain". The sacking was later overturned and the men received an out-of-court settlement. Unison union official Steve Morton said he had dealt with several similar cases involving Bury Council - including an ongoing case where the authority monitored its own security workers with a vehicle tracking device. The council said it did not use Ripa legislation to carry out this last tracking operation. "I'm against councils using anti-terror laws to control their employees," said Mr Morton. "If a law has been broken, then call in the proper police - we don't need a council police force." A survey of local councils last year uncovered the widespread use of covert surveillance to combat littering, fly-tipping and dog-fouling. It is the use of anti-terror laws to combat this sort of "environmental crime" that has infuriated the law's critics. The Press Association's survey revealed four councils - Derby City Council, Bolton, Gateshead and Hartlepool - had used surveillance to investigate dog fouling. Others admitted using the act to film litterbugs and fly-tippers. Babergh District Council in Suffolk hid a camera in a lay-by to snare motorists suspected of dumping their rubbish. Daniel Whymark, Babergh's Local Environmental Quality Officer, said: "Babergh takes a zero tolerance approach to such crimes. "We are pleased to be using our CCTV cameras as an additional means not only of deterring but in catching offenders as well."